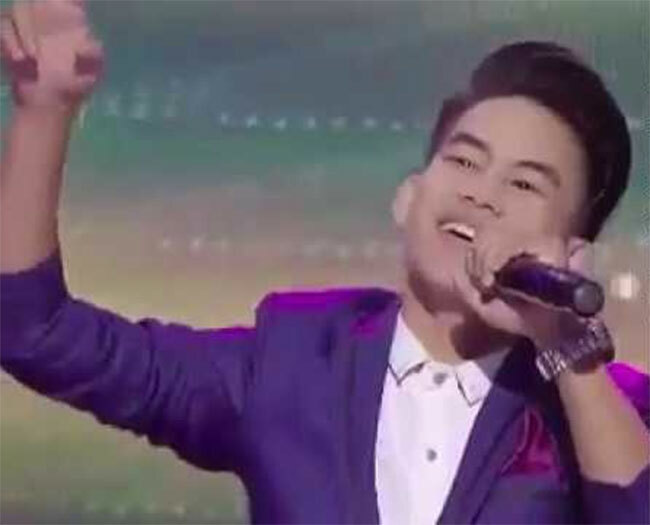 KATHMANDU, Sept 23: Buddha Lama has won the title of Nepal Idol, defeating his rivals Nishan Bhattarai and Pratap Das at the grand finale held in Doha, Qatar on Friday. 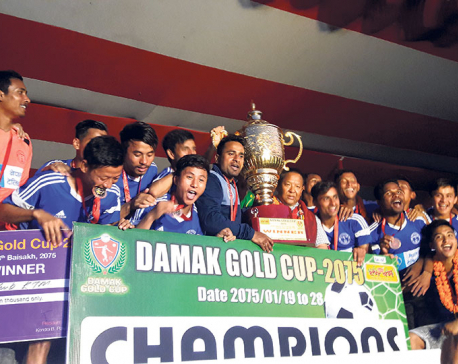 With the title, Lama has received a cash prize of Rs 2 million along with a KUV 100 vehicle of Mahindra. Besides, he will also sign a contract of music video. Similarly,Nishan Bhattarai of Morang became First Runner Up while Pratap Das of Lalitpur got the tile of Second Runner Up. Nishan got Rs 1.5 million and Das Rs 1 million cash prizes. The winner was selected through SMS and mobile app voting. The voting started at 8:45 pm Thursday and ended at 5 pm Friday. According to the organizer, as many as 93,100,000 votes were cast during the period. Born in Pokhara on November 23, 1997, Lama had started his music career from a school. His father is a dustman at the municipality while his mother is a house wife. Lama had become fourth in ‘Big Icon 2011’ organized in Pokhara. He had also recorded a song ‘Kasari Timilai…’ four years ago. A SEE graduate, Lama is studying Tourism Hospitality Management, currently.